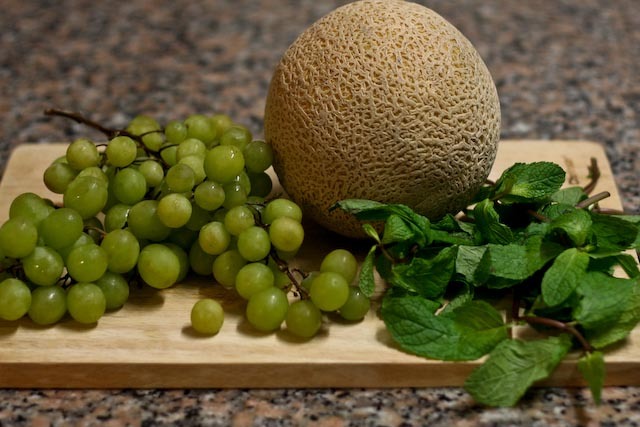 Melon, grape, and mint – what’s more refreshing than that? This salad is superbly sweet, healthy and nutritious, and extremely simple to prepare. 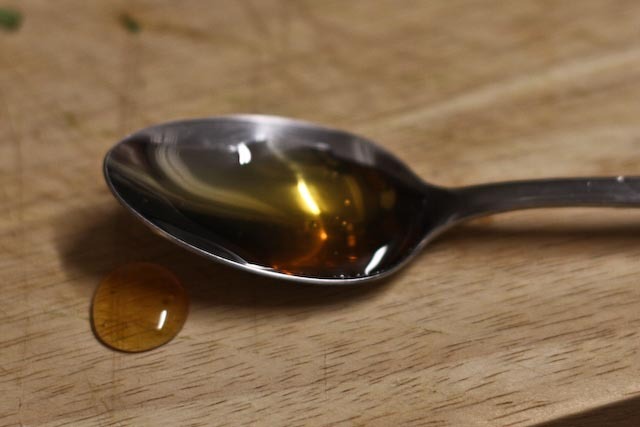 It only requires these three main ingredients plus a little honey and lime juice. Easy peasy! Great as a side dish for lunch or to serve alongside brunch. Mint is quickly becoming one of my favorite fresh herbs to cook with. 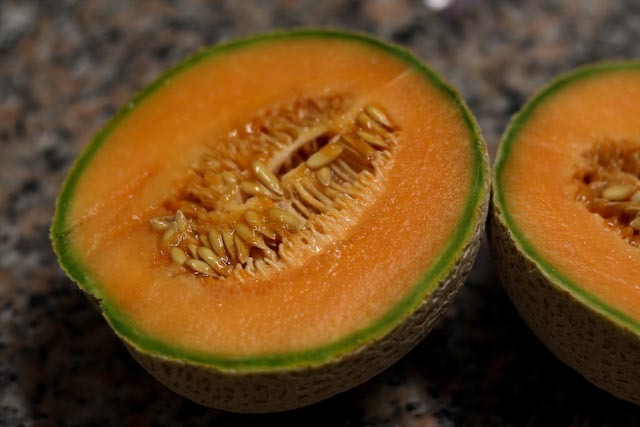 It definitely packs a flavor punch (which can sometimes be a bit unwelcome), but it’s just so fresh tasting – can something actually taste fresh?? 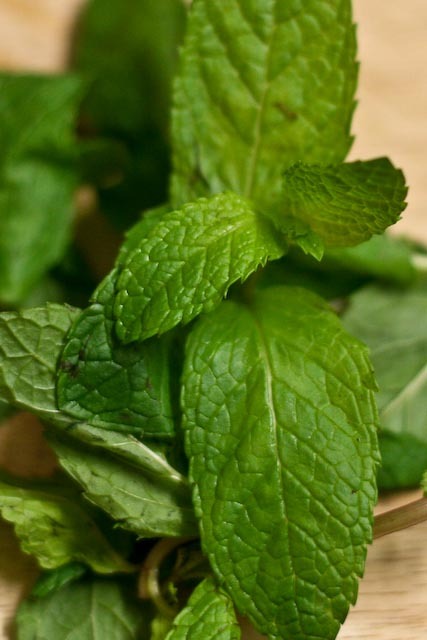 All I know is fresh mint is delicious (particularly if it’s in a great mojito – stay tuned for that recipe, since I’m in the land of rum! 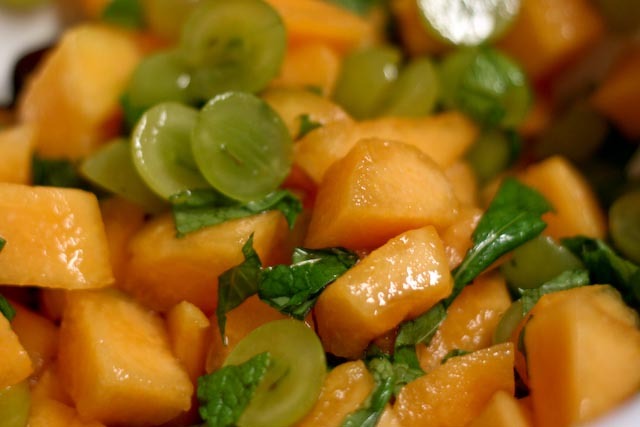 ), and I think it goes really nicely with the grapes and cantaloupe in this salad. 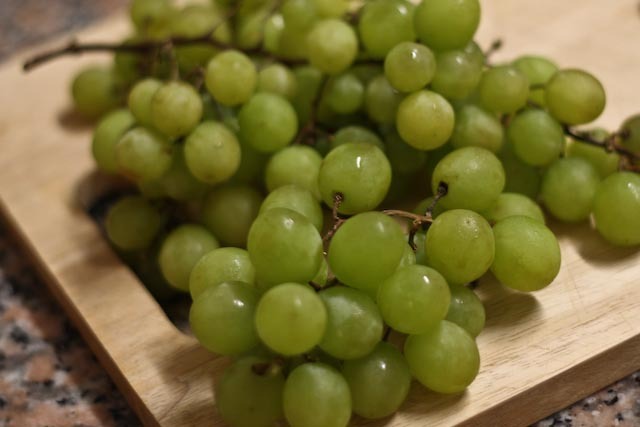 Don’t these grapes just look yummy? 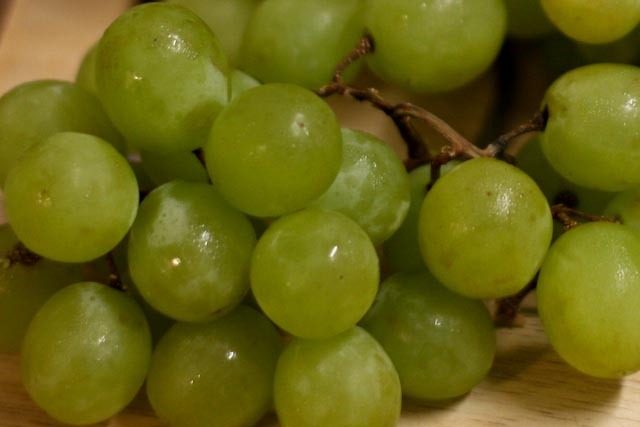 I used green grapes, but you could easily substitute red grapes. Seedless grapes are probably best for this salad. Just a simple drizzle of honey and lime juice and this salad is complete. I think I need to make more of this…soon! 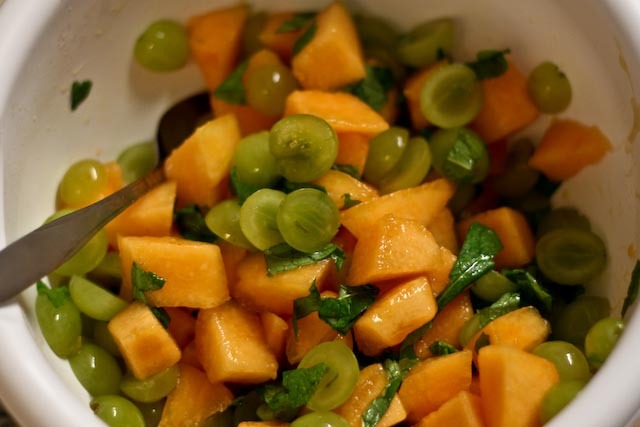 Combine ingredients in a large bowl and toss to mix and coat fruit with honey and lime juice. Serve chilled.